Hansberry Garden & Nature Center plans to open its solar-powered outdoor amphitheater this season, and we’d like to make it wheelchair accessible. Unfortunately, the ground between our gate and our theater is presently too uneven to navigate safely in a wheelchair. The first step toward building a wheelchair path, ultimately to be surfaced with water-permeable pavers, is digging the path’s foundation to a depth of five inches. The soil we remove when we dig will be used to fill in hollow spaces to level the ground. 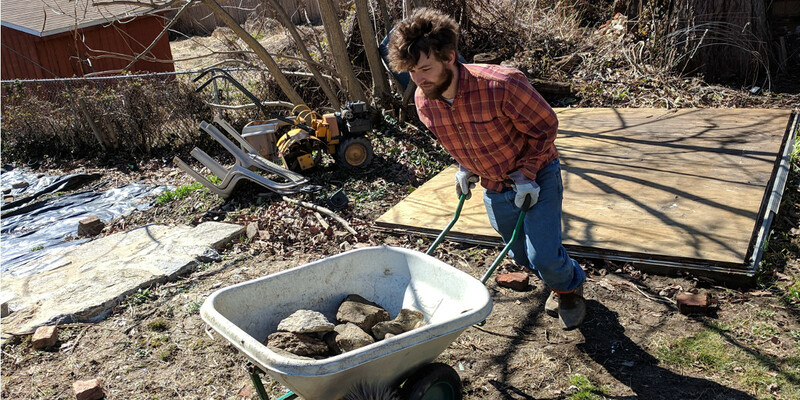 On Saturday, April 13, from 9 a.m. to noon, we’ll use our first regularly scheduled Tend the Garden Day of 2019 to begin this project. But you don’t have to be a member of Hansberry Garden to volunteer! If you’re handy with a shovel, or strong enough to haul some dirt from one spot to another, we’d be grateful for your help! Hansberry Garden is at 5150 Wayne Ave. (the corner of Wayne and Hansberry, in Southwest Germantown, Philadelphia). If you have questions about the project, email info@hansberrygarden.org.